ALTHOUGH MOST OF THE SATISFACTION OF installing a hardwood floor that was beautiful comes from preparing for the setup rather than from really putting down the flooring, inferior groundwork frequently means that attractiveness will be shortlived. It is always wise to try to find possible issues, and many possible issues are water connected. Inspect the outside of the building thoroughly. Water should drain away from your building and never into it; downspouts in the gutters also needs to drain from the building; and doors and windows should be installed and not leak. Countless wood floorings have been destroyed by wetness from these sources. Houses under construction are not consistently drier than they’ll be in service. 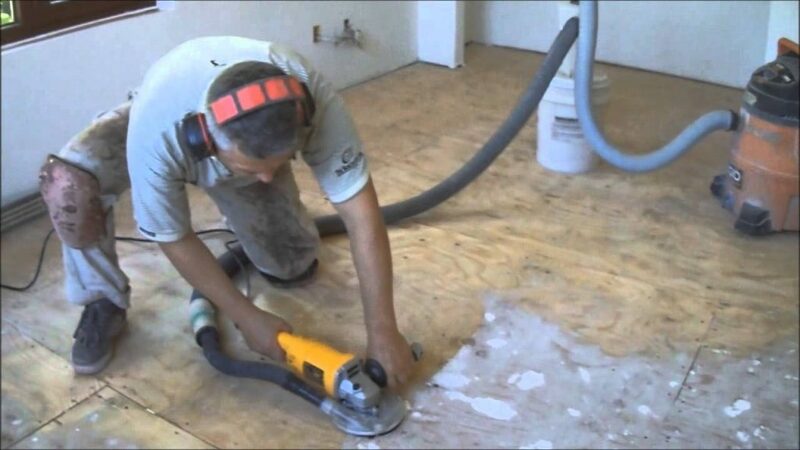 Let building dampness—from wet lumber, fresh concrete, plaster and drywall finishing, and drying paint— before delivering the wood flooring to dissipate. HOW depends how much moisture was initially placed into the building and what’s used to remove it. Flooring is produced by most manufacturing companies with moisture content between 9% and 6, and they urge the flooring be kept in this range for greatest performance. Before delivering the flooring to help keep this moisture content the typical moisture content of the framing members should be. Floor joists, framing bottom plates, and doorways are usually an excellent spot to quantify moisture content. The cooling and heat system also needs to be running before delivering the wood flooring. This will assist in removing remaining building wetness and help get the inside of the house to its standard environmental conditions that are anticipated. You may have to run temporary HVAC equipment including air conditioners, portable heaters, blowers, and dehumidifiers onsite if the long-term system of the house isn’t working. It may take two or a week with the HVAC working to remove the remaining moisture from your building.